Can This Jaguar XE Outgun The Mighty Mercedes-AMG C43? It's like the Battle for Britain, but with cars. 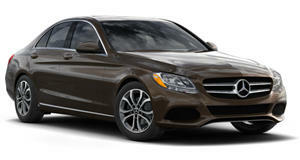 For years, it was the German brands that duked it out for the best luxury performance sedan. That honor typically went to whatever the current generation was of the BMW M3. But over time, Audi and Mercedes-Benz have picked up the pace – as well as Cadillac and Jaguar. Yes, BMW still builds a fantastic 3 Series lineup, but today’s Mercedes C-Class lineup is also quite something, as is the new Jaguar XE. So instead of a German vs. German comparison, Motor Trend decided to pit the formidable Mercedes-AMG C43 against the Jaguar XE 35t. 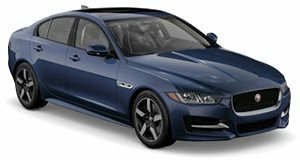 MT has already called this Jag one of the best luxury sport sedans in its respective class. It really sort of is a hidden gem. On paper, the Jag and Benz have similar power figures, but there are differences. For example, the AMG C63 is powered by a twin-turbo V6 with 362 hp and 384 lb-ft of torque, while the XE 35t goes has a supercharged V6, producing 340 hp and 332 lb-ft of twist. The Benz has a nine-speed automatic and the Jag has an eight-speed unit. The differences are nothing dramatic, but they add up to create unique driving experiences. Then again, are either one of these two sedans worthy of being called performance sedans? Aren’t they sort of toned-down versions of the AMG C63 and XE S? Well, it’s time to find that out and which one is the winner in this direct comparison test. Jaguar’s new compact executive sedan takes on the best, and very nearly comes out on top.